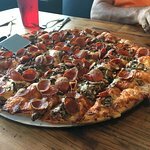 We also shared a wedge salad - great dr...This is more like southern USA pizza and not New York or Chicago pizza so if...Great pizza, salad, service, but a bit pricey for pizza.Loved the pizza and salad, just wished they had a bit more on the menu. 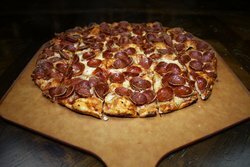 The Crust Pizza is your premier location for thin-crust, midwest-style pizza, oven-baked subs, and fresh salads. 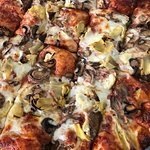 With history in Ohio, we at The Crust strive to offer Neapolitans a thin-crust pizzeria that holds itself to pizza service standards like we found in the heart of the midwest. 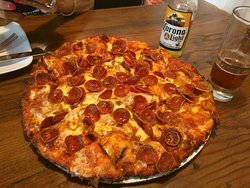 Had a meat lovers pizza. The crust was very good and crispy. The bar menu was beer and wine only but they did have a decent variety. With quick take-out and addictive pizza, this place never disappoints! It's also a great option for kids. 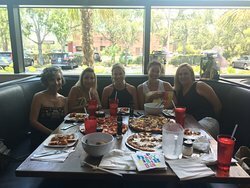 Our server was attentive and delightful, the pizza was one of the best I’ve ever had. 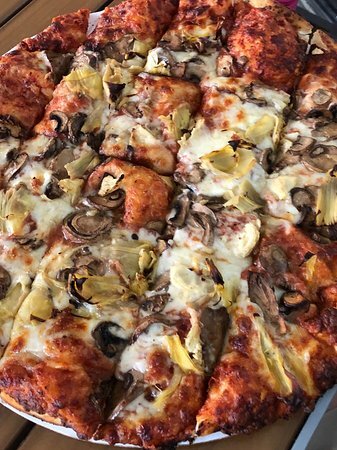 The crust is thin and cracker-y, and they really pile on the toppings. We asked for light garlic, and the taste was perfect. Highly recommend! 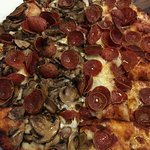 Excellent thin crust pizza, and they are not at all shy with the toppings. 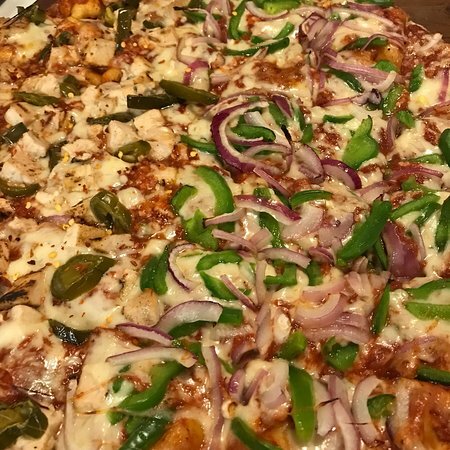 The pizzas are loaded up with whatever toppings you choose. The sauce and cheese also excellent, well done. Good selection of beers on tap and excellent service as well. 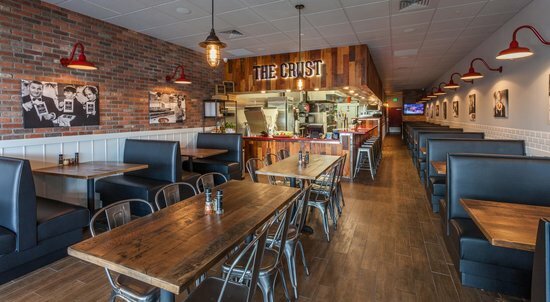 Get quick answers from The Crust Pizza staff and past visitors. Why are they closed now for nearly 2 months? Very Strange. 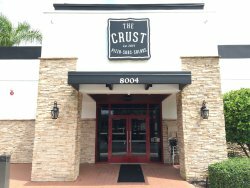 The Crust closed it location at the Pavilion to open a larger, stand alone restaurant, south of Vanderbilt Beach road on Hwy 41, (actually on the frontage road across from Pelican Bay). 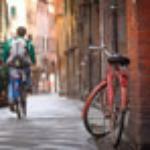 It is a lovely facility that is able to serve more customers. I have visited twice and the quality and service remained in tact, even in very busy times. I look forward to visiting again soon. Do you take reservations? (I have a party of 8 adults) Do you serve alcohol? I don't think they do take reservations. 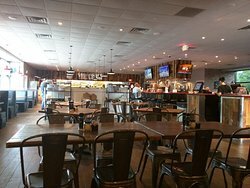 However, their new place is about to open on Tamiami Trail, and it'll be much much bigger. Less than a mile away. They do have soda and wine, but the wine is pricey for a small amount. We just bring a glass in the car on our way there and save $7.00 each.